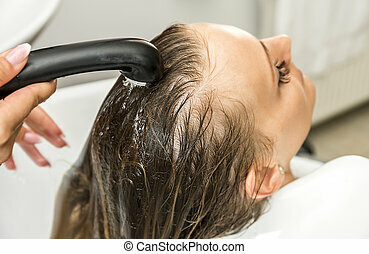 Woman getting a hair wash before haircut. 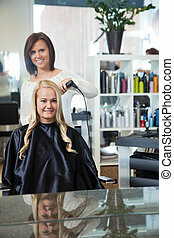 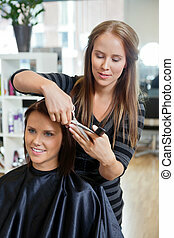 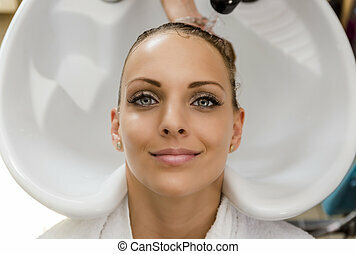 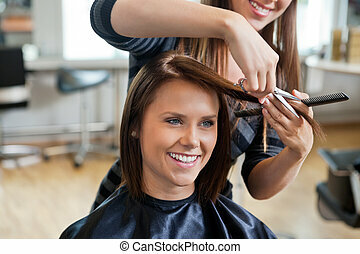 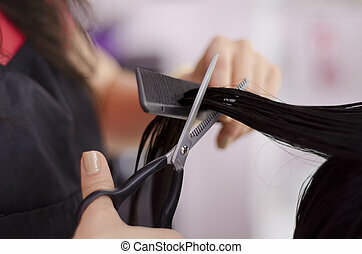 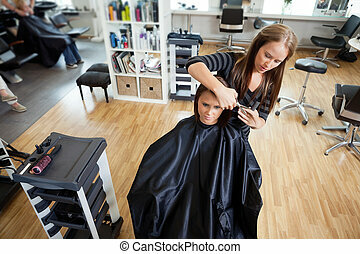 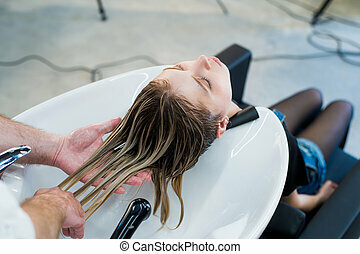 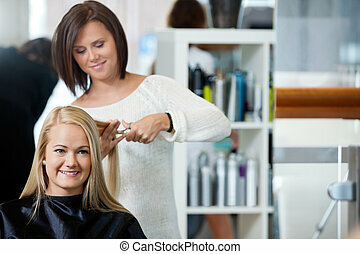 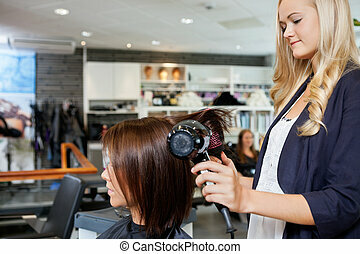 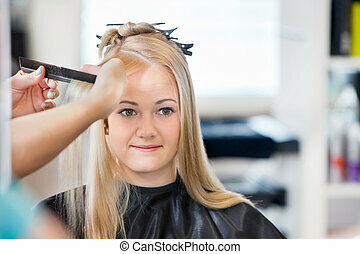 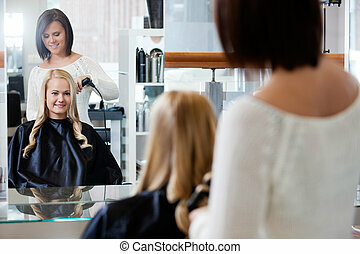 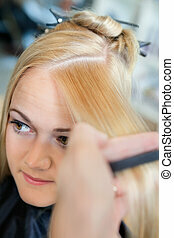 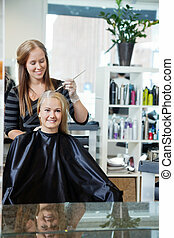 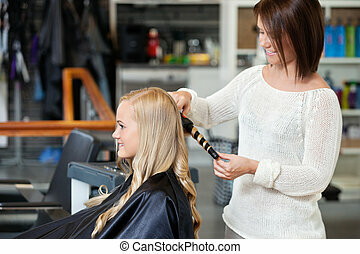 High angle view of relaxed young woman getting a hair wash before haircut at beauty salon. 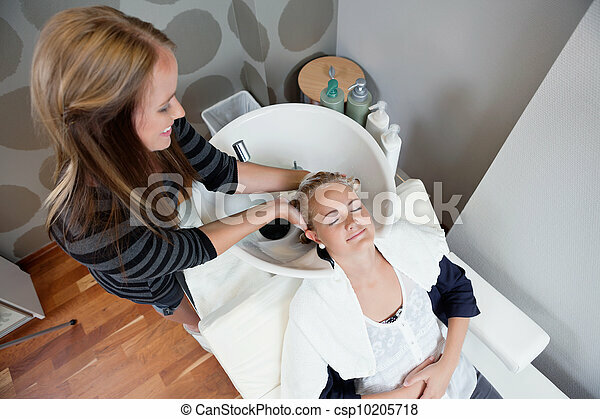 Beautiful woman getting a hair wash in a beauty salon.